Morning of another colder day in Iceland, we decided to go for Golden Circle Tour. The most popular destination in the Iceland, almost everyone who visits Iceland heads off to the golden circle, whether it is just a lay over in Iceland or a long trip. 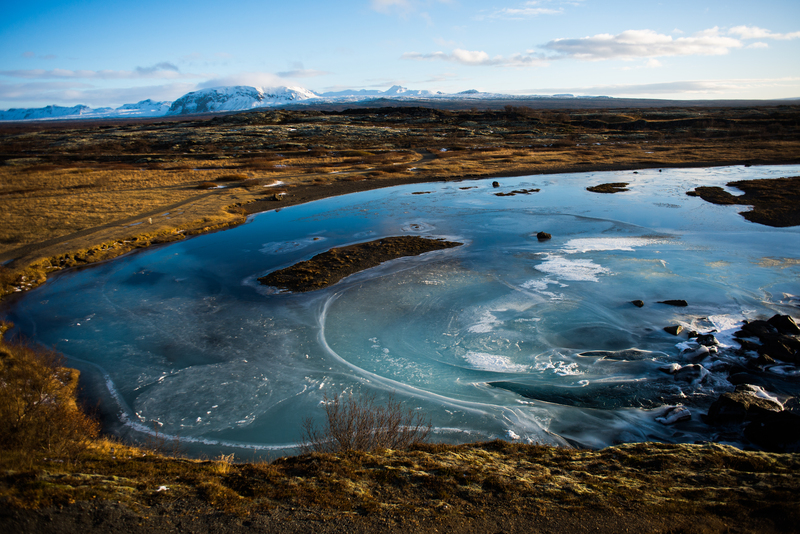 There is a well established road network on the golden circle which makes it easier to drive in summer months and a bit comfortable in the winter months as well. We were happy looking at the weather from the window of our Air B&B accommodation, it was a bright & sunny day and were very excited to head out on to the roads. But as soon as we came out of the room reality hit us hard, it was sunny but it was freezing cold. Temperature was -5 degrees and winds were chilled as ice. We knew we might have to spend a lot of day in the car today. 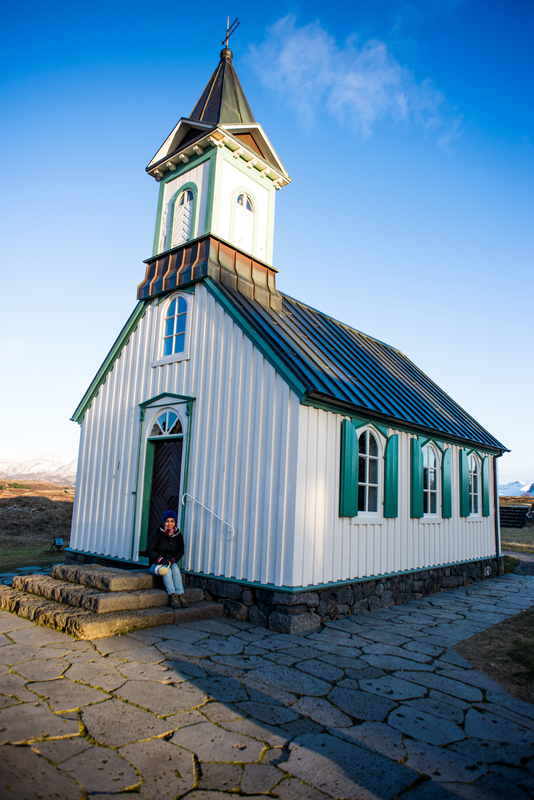 Our first stop on the golden circle was one of the Iceland’s most popular park i.e. Þingvellir National Park. This park does not only have geological significance but it plays an important role in the history of Iceland. It is situated on the northern shore of lake Þingvallavatn, Þingvellir is the national shrine of Iceland. It is the oldest existing parliament in the world first assembled there in 930 AD. 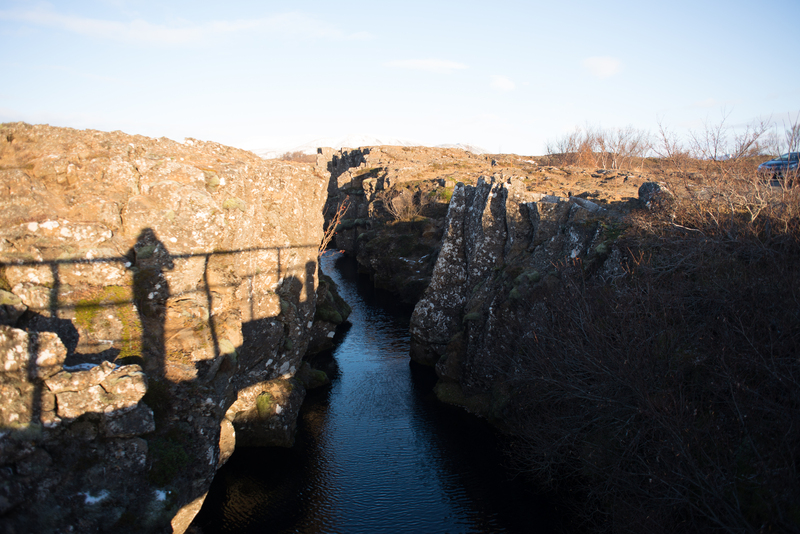 Þingvellir has for this reason been designated a UNESCO World Heritage Site. Over two weeks a year, the assembly set laws – seen as a covenant between free men – and settled disputes. You can still see the fragments of booths where assembly was held. 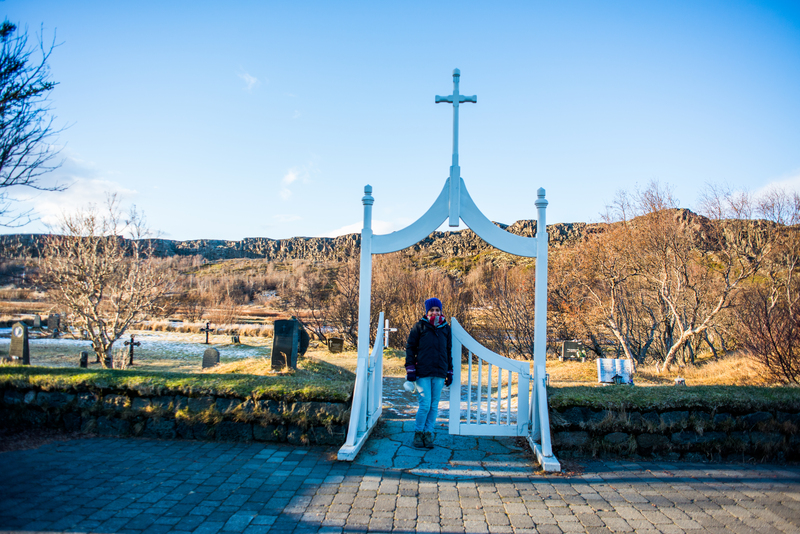 It also have a Þingvellir Church and adjacent farm. Me and Ash are wanderers and do not know how we managed to walk all the famous parts of walk. I can still feel the cold winds slapping my face and knocking me off the ground. I think the urge to travel and see more just makes you do anything. Oh!! I miss Iceland now.